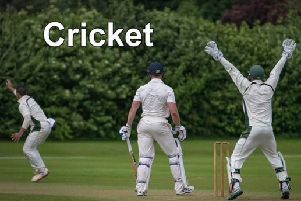 Revesby CC were beaten by 91 runs at Lincoln and District League Premier Division leaders Fulbeck on Sunday. The hosts posted 161 before being dismissed in the 37th over. Jamie Lewis claimed four wickets for the loss of 36 runs, ably supported by Alexander Sargeant (3-7), Darren Hunt (2-37) and Ivan Nash (1-47). However, Revesby were back in the pavilion with 70 on the board. Nash (17), Will Laird (13) and Michael Ridding (13) led the way for the away side. Revesby return to action on Sunday when they host Sleaford (1.30pm).